New in this version: Fixed issues with Drill Collar 2 (Surface Stack Only). 7. Frictional losses in all sections, also showing the length, velocity, flow regime, hydrostatic and Reynolds number in each section. 11. Pressure x Flow Rate and scale definition. 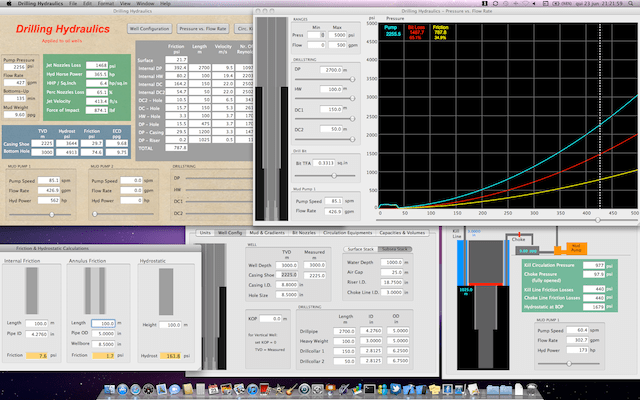 Ability to change bit depth or bit TFA for instantaneous plotting. 15. 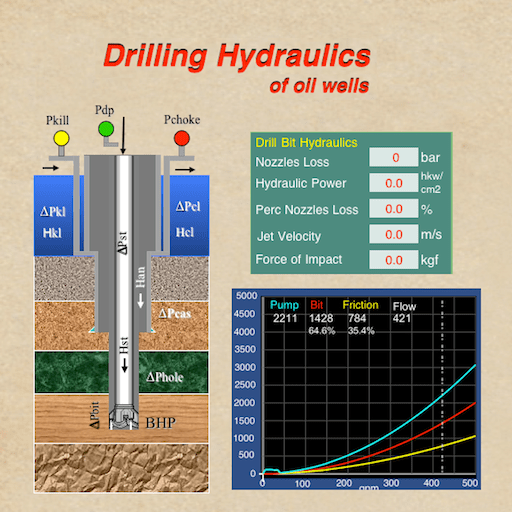 Drill string sections: Drill pipe, Heavy-weight drill pipe, drill collar 1 and drill collar 2. 20. 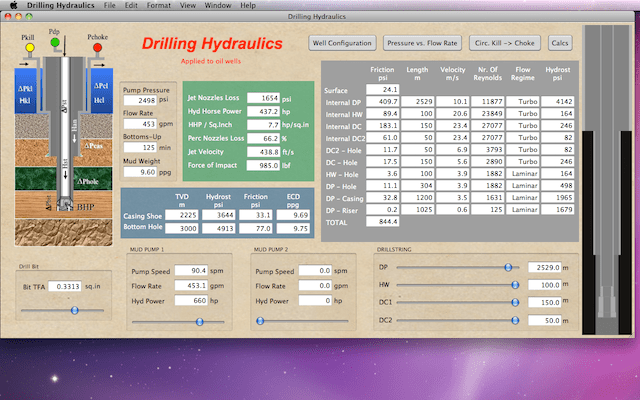 View for Internal pipe and Annulus friction losses and hydrostatic calculations.